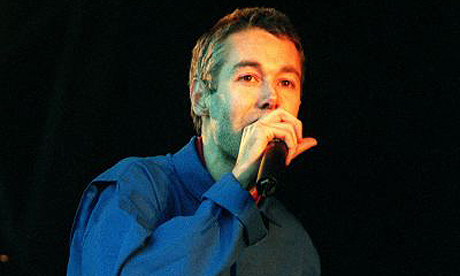 While Yauch deserves respect as an artist and innovator, the aspect of his life that has earned him the most praise in the liberal press is his activism in favour of Tibetan independence. This is interesting. While the press censors musicians who call for Free Palestine, it lauds artists who call for Free Tibet. And while western governments actively support the Israeli government against the Palestinian movement for national self-determination, they actively support the Tibetan independence movement against the government of the People’s Republic of China. Why the discrepancy? In short: because Israel is a ‘friend’ and China is an ‘enemy’. The west has consistently used the issue of Tibet in order to paint China as an evil, ruthless coloniser, thereby making it morally abhorrent, even to those that support other aspects of Chinese politics (you know… little things like the most significant poverty alleviation programme of all time). Every western liberal knows that Tibet must be free. And yet 99.9% of them haven’t got the slightest clue as to the history of Tibet, or the relationship between Tibet and the rest of China. Wearing that ‘Free Tibet’ t-shirt is simply the easiest, most acceptable and least confrontational way of saying “I am a good person”, absolving the wearer of all responsibility for developing their knowledge and understanding. In fact, the issue of Tibet is not an open-and-shut case of Chinese colonialism. And perhaps more importantly, there are better ways for people in the ‘first world’ to be active in pursuit of a fairer, more peaceful world. The Beastie Boys were/are privileged white Jewish kids from affluent families in New York. They have made a fortune, and built a musical legacy, on the basis of a culture created by people of African descent in the poorest districts of New York. Instead of taking up a cause celebre which poses zero challenge to the US ruling circles, surely it would be more appropriate to use their privilege and wealth in support of the oppressed communities that hip-hop grew out of? Incidentally, New York wasn’t always called New York – it was given that name by English colonisers in 1664. Native Americans have lived in that area for an estimated 12,000 years. Wealthy European settlers could consider supporting indigenous rights and power as an outlet for their activism. But that would be a bit difficult. It would mean standing up to their government; it would mean getting labeled in the press as subversives rather than lauded as heroes; it would mean taking on corporate interests; it would mean not sharing the same views as George W Bush. It doesn’t take any courage for a wealthy North American or European to stand up to ‘Chinese tyranny’. The Chinese are an easy target. The west is generally anti-China to begin with, and there’s a prevailing sense of indignation that they are no longer our colonial subjects (things were soooo much better in China back when we fought wars for our right to get the Chinese masses hooked on opium). In the US this sentiment is mixed up with the intellectual legacy of McCarthyism, which means that anything called ‘communist’ is automatically considered demonic. The prevailing hatred only grows as China is developing into an economically and politically strong country, the number one challenge to the total dominance of US imperialism. One international cause which doesn’t typically attract the support of many wealthy western celebrities (especially Jewish people from New York) is that of Palestinian national self-determination. Why not demand an end to Israeli oppression of Palestinians? There are few such clear-cut cases of ongoing colonial occupation, organised and paid for by the west. Opposition to Israeli occupation is a lot more valid than joining in with the fashionable Hollywood-liberal cries of ‘Free Tibet’. However, I can’t find any record of the Beastie Boys voicing their support for Palestine. Indeed, they played concerts in Israel in 1995. So in celebrating the legacy of the Beastie Boys (Paul’s Boutique is playing in my headphones as I write this), I suggest we emulate their creativity rather than their activism. Be an activist, for sure, but pick the right side!